Students and teachers from Theodore State High School will see their local gold mine in operation and meet the many people who contribute to its success when they visit Evolution Mining’s Cracow operation today. 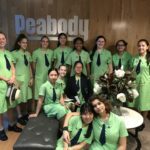 The tour is the school’s first Queensland Minerals and Energy Academy (QMEA) activity, made possible through a new partnership with Evolution. Theodore State School’s Principal Susan Cannon says the tour provides an opportunity for the 22 students from Year 7 to 10 and four teachers to see first-hand how a mine site operates and the types of occupations available locally. 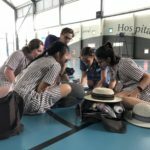 “It will also enable them to see the practical applications of their science and technology classroom work, which is extremely valuable,” she said. Cracow Gold Operation’s General Manager, Jason Floyd, said Evolution was excited about the new partnership with QMEA, which includes their three Queensland operations, and the opportunity it brings to help students build links between their school curriculum and local career options. “Our industry is becoming increasingly technology based, creating opportunities for us to apply new and exciting methods to our operations,” said Mr Floyd. “I am pleased to be engaging with our local youth and hope we can get them enthusiastic to continue their STEM-related studies, knowing it can open the door to many potential career opportunities,” he said. Evolution’s Mount Rawdon gold mine in Queensland’s North Burnett region was the source of the gold that made the Melbourne Cup.